The Jewish Theological Seminary of America, the main rabbinical seminary of Conservative Judaism. a mixed-gender, egalitarian Conservative service at Robinson's Arch, Western Wall. Frankel's speech in the protocol of the Frankfurt conference, mentioning "Positive-Historical Judaism" (second row, 2-4 words from left). 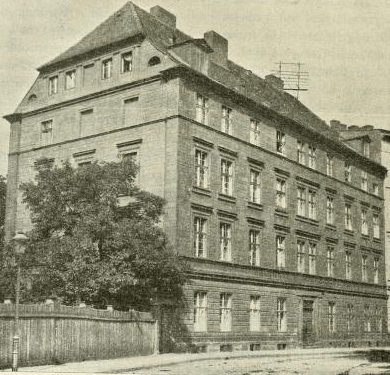 Jewish Theological Seminary of Breslau. East Midwood Jewish Center, a United Synagogue affiliate built 1926, during the early years of the union. The Conservative Congregation Shaarey Zedek, Southfield, Michigan; the edifice was built in 1962, after the migration to suburbia. Conservative Judaism Facts for Kids. Kiddle Encyclopedia.